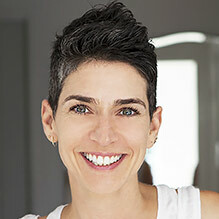 Kimberly Snyder is a nutritionist, wellness expert and the multi-time New York Times best-selling author of The Beauty Detox Solution, The Beauty Detox Foods and The Beauty Detox Power and most recently Radical Beauty, which she co-authored with Deepak Chopra. Mallika has taught meditations to thousands of people. She enjoys speaking to audiences around the world, and has shared her passion about Intent at TedXSan Diego and TedXBerkeley, Ideacity, Business Innovation Factory, the Green Festivals, LOHAS, Prevention R3, Wisdom 2.0, Women’s Conferences around the United States, and the Parliament of World Religions. She is a popular speaker at companies, and has shared ideas on balance and purpose at Coca Cola, LinkedIn and Google. She travels internationally for workshops on meditation and balance, as well speaks regularly at the Chopra Center for Wellbeing. Mallika’s writing and work have been featured in many publications including Time.com, Self Magazine, Women’s Health, Prevention Magazine, OWN, Glamour, Oprah.com, Mind Body Green, the LA Times, and Huffington Post. She currently is featured in Time Magazine’s Special Issue on Mindfulness. Mallika has a Bachelor of Arts from Brown University, an MBA from Kellogg Business School, and is currently pursuing a Masters in Psychology with a mind body spirit concentration at Teachers College, Columbia University. Mallika Chopra is a mom, media entrepreneur, public speaker and published author. Her most recent book, Living With Intent: My Somewhat Messy Journey to Purpose, Peace and Joy, was published in April 2015. 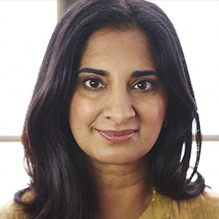 Mallika is the founder of Intent.com, a website and app focused on personal, social and global wellness. Mallika has taught meditations to thousands of people. She enjoys speaking to audiences around the world, includingTedXSanDiego and TedXBerkeley, Prevention R3 Conference, Wisdom 2.0, Women’s Conferences around the United States, and the Parliament of World Religions. She is also a popular speaker at companies, and has shared ideas on balance and purpose at Coca Cola, LinkedIn and Google. Samantha Paige is an artist and mother with a passion for the truth and connection. As a young adult cancer survivor and BRCA1 previvor, Samantha has learned to use life experiences as fuel. Her health challenges have been her greatest teachers. After 6 major surgeries and some lovely scars to show for it, she is happy to feel stronger and healthier than ever. In January 2016, Samantha launched Last Cut, a photo-documentary art project and started writing her upcoming memoir. Last Cut was born when she opted to remove silicone implants she had elected with a preventive double mastectomy in 2008. Paige collaborated with photographer Lisa Field to document the year following this surgery, which felt more like an arrival than a setback. Not only about Samantha’s story, Last Cut has grown into a movement, asking honest questions and fostering conversation around what is most true to each of us and the significant decisions, or last cuts, we make to stand up for those beliefs. Last Cut Conversations is the project’s podcast on iTunes, featuring interviews Paige has done with other brave individuals over this past year. This project is inspired by her love of the truth and belief in the great power of community and connection with other like-minded individuals around our most profound life experiences. On January 3, 2017, Samantha was featured in Equinox’s 2017 lead image for their “Commit to Something” ad campaign, where she proudly showed her post-mastectomy scars in a powerful Steven Klein image used widely in print, online and billboards worldwide. She also spoke her truth and bared her scars in a video commercial posted to the brand’s worldwide social media audience. Samantha graduated Phi Beta Kappa with an undergraduate degree in 20th Century American History and African Studies from Tufts University in 1997, and earned her master’s degree in European Studies from Johns Hopkins School of Advanced International Studies (SAIS) in 2001. Post college, she worked at the Lorenzo de’ Medici Institute and Apicius Cooking School in Florence, Italy for over 2 years, honing her love of cooking and appreciation of the arts. She then performed economics research for Economist Adam Posen at the Institute for International Economics (now the Peterson Institute for International Economics) from 2001 to 2003. From 2009 to 2013, she created jewelry and lifestyle brand, Adesso, which means “now” or "in the moment” in Italian. Adesso was carried in 60 retail stores globally and had a flagship store in Santa Barbara, California. Samantha lives in Santa Barbara, California with her daughter and two dogs. Artist Statement // I love the truth. I have a sixth sense about what is real. I love to connect the dots and people. I love to help others. I love to be of service. I believe we are all here for a reason. We just have to be honest enough with ourselves to figure it out. From the playing fields of the sports world to the red carpets of Hollywood, THEA ANDREWS has established herself as a veteran television journalist whose diverse experience ranges from co-hosting a live daily morning show for ESPN and reporting for ABC Sports to covering the world of entertainment as a correspondent for Entertainment Tonight. Formally the co-anchor of the internationally syndicated program The INSIDER, Andrews has interviewed Hollywood’s biggest stars ranging from George Clooney to Gwenyth Paltrow to Robert Downey Jr. Prior to joining ENTERTAINMENT TONIGHT in 2006, Andrews was known for her work on ESPN, where she served as a national correspondent and later, as co-host for ESPN’s hit show, Cold Pizza. Eventually, Andrews became the co-host of ESPN Hollywood. During her time with ESPN, Andrews co-hosted the Triple Crown morning shows, The ESPY Red Carpet Show, The Indy 500 Parade, Michael Jordan’s Celebrity Golf Invitational and contributed to ABC Sports live coverage. Andrews has hosted TNT’s 16th Annual Screen Actors Guild Awards Red Carpet Show, CMT’s Next Superstar and Top Chef Canada. Andrews can often be seen in television and films, playing herself in series such as HBO’s True Blood, The Bold and the Beautiful and The Young and the Restless. She has also appeared in BBC America’s Torchwood as well as the feature film Harold & Kumar Go To White Castle and had a recurring a role on ESPN’s original series Playmakers. Thea lives in Los Angeles with her husband, Jay Wolf, and their two sons, Jack and Tuck. omg! INSIDER is produced and distributed by CBS Television Distribution and is shot in Studio City, Calif.